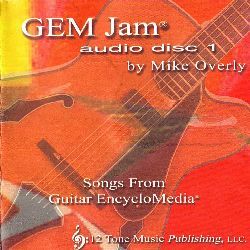 GEM Jam, the play-along CD for Guitar EncyloMedia, gives you the opportunity to strengthen your improvisational skills by playing along with the first eleven songs of Guitar EncyloMedia. Each song on the disc has a two-measure intro, and to help you quickly achieve "play-along" success, each song is recorded twice. The first version is at the tempo indicated in Guitar EncyloMedia, and the second version is recorded at half-speed. This slower-tempo second version corrects the problem most players have with play-along CD's, which is, you know what to play, but you can't seem to play-along because the track is too fast! However, with these half-speed versions, your play-along success is instantly assured. GEM Jam is a fantastic way to quickly and easily increase your soloing abilities because now you can truly play-along, the very first time. If you own a copy of Guitar EncycloMedia, then GEM Jam is a "must have." GEM Jam was composed, arranged, programmed, recorded, engineered, mixed and produced by Mike Overly at OverMoto Studios, Dayton, OH. All music published by 12 Tone Music Publishing, LLC. 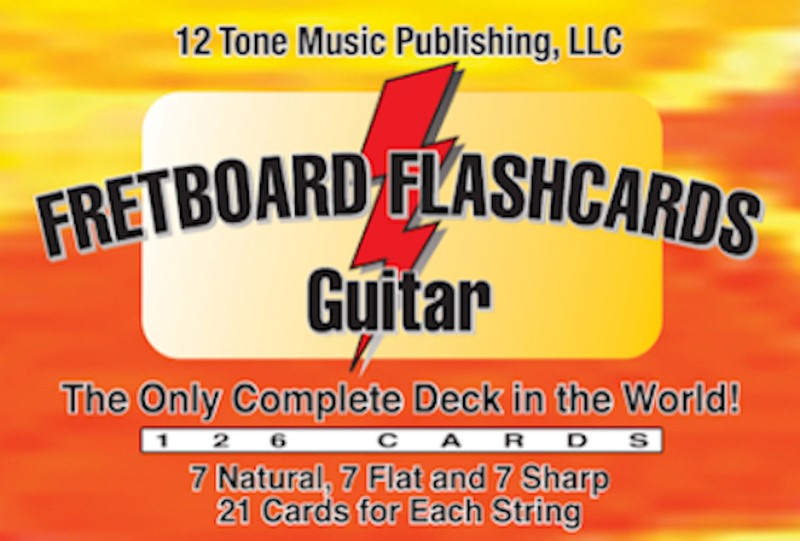 At 12 Tone Music Publishing, LLC our mission is to help guitar players become musicians by presenting simple, efficient and effective methods of learning music on the guitar. The 12 Tone Music Publishing, LLC our goal is to help you feel comfortable with your guitar, never overwhelmed or confused. I believe that by starting at the beginning you will never “slow down,” reach a plateau - or worse yet - stop and quit! Nothing could make me feel better than to know that GEM Jam has helped you play better, and that 12 Tone Music Publishing, LLC has provided you with the mind-tools necessary for you to become the musician you have always wanted to be. Thank you for your continued support. Be sure to keep in touch and let me know how you are progressing. 'til next time, play and have fun... I'll be listening! - GRAMMY® Nominated Music Educator Mike Overly.